The Camp George Elementary School was planned and completed to provide improved educational opportunities to children of U.S. Officials and military personnel living in Taegu, South Korea. 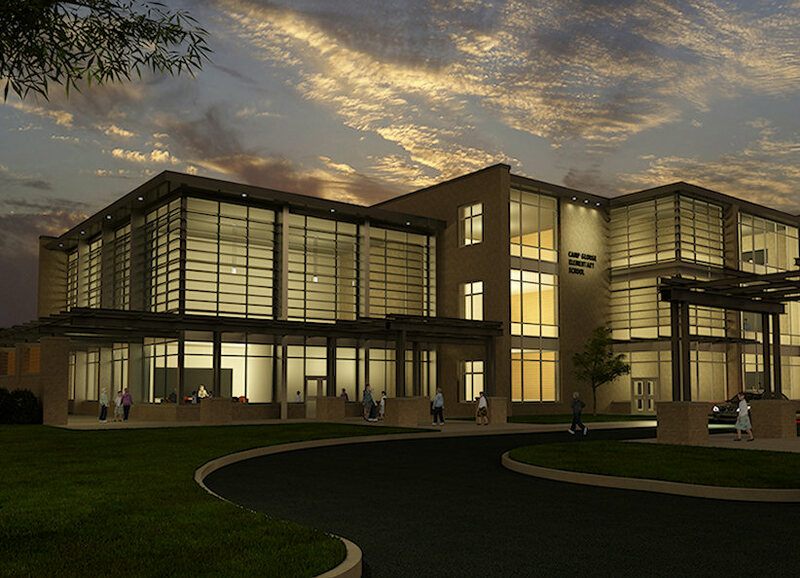 The U.S. government, concerned with the age and inadequacy of this facility, solicited services from architectural firms throughout the country who were "…capable of demonstrating the highest level of excellence with regard to educational learning environments including the implementation of advanced educational technology…"
The very small, high security site required a design solution which placed the new building between two existing buildings without compromising the school's organization and without disturbing the occupants of the adjacent buildings during construction. Although primarily new construction, the program required that one small existing building be renovated and seamlessly incorporated into the design. The total project size was approximately 80,000 sf.